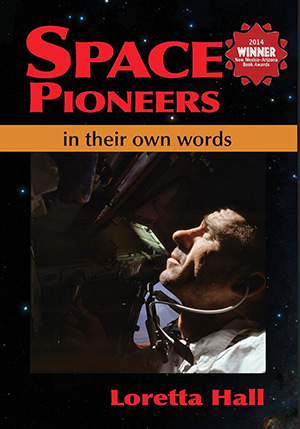 This is a unique book in that it covers a broad spectrum of personal remembrances as derived from the private interview collection of the New Mexico Museum of Space History. While many of the persons included (about 90) represent those who have had some connection with New Mexico, the pioneers quoted are from a diverse spectrum that includes a former Soviet cosmonaut. The content has three levels of interaction with the reader. The first is an introduction to each chapter by author Loretta Hall (perhaps more accurately she might be termed the facilitator). These eighteen chapters are mostly topical in nature such as “Taking Over The V-2s”, “Balloon Boosters”, and “Shuttling Pioneers”. Some chapters are titled to reflect personal reminiscences that include Flight Director Gene Kranz and Shuttle Commander Eileen Collins, who provide significant insights to their roles. The second level is the introduction of the specific individual who is being interviewed. These are easily identified by shaded boxes with Hall’s commentary. The third level is the oral history observations themselves. Here lies one of the challenges that Hall faced. As those who have tried to follow the written transcription of an oral conversation can well attest, we often speak noticeably different than we write. We occasionally repeat ourselves or correct a misstatement. This could make for difficult and convoluted reading. Hall has attempted to spare us that problem by providing what she terms “a gentle but firm hand… to create a smooth narrative”—careful and non-obtrusive editing. For the most part, she has succeeded. Inserts of explanatory words or phrases that help clarify points being made by the historical figure are enclosed in brackets. Another problem that faced Hall—how to arrange an oral history that may have spanned decades and projects. For example, I found Dr. William Douglas, the personal physician to the original Mercury astronauts, to have an interesting and somewhat unknown (to the average person) involvement with space exploration. I had to trace his story through no less than four chapters. Some people talked about several projects, and she separated out their entries by program such as Mercury/Gemini/Apollo, space shuttle, living on a space station, or UFOs. Arranging the excerpts by person would have resulted in jumping among topics, which may have been more challenging to people unfamiliar with all of the programs. Structure aside, I found most of the personal conversations enlightening and entertaining, although I was expecting higher profile people such as Goddard and von Braun (of whom there are a few—but these two are absent). Those who had highly significant role in the space program more than likely produced a published biography. With a few exceptions, you are in this book being exposed to many people you might not otherwise have heard from. I was surprised to learn new terms for projects and people that were well known to me—such as Broomstick Scientists and the Daisy Track, whose definitions will not be disclosed here. As a pilot, I found the description of trying to tame the Multi-axis Spin Test Facility (MASTF) especially intriguing. Don’t expect too much in the way of technical descriptions. Much of the interviews provide a broad overview of projects and programs as well as the person’s early life, their schooling and such. However, what you occasionally will find are vivid descriptions of events of high drama and a bit of intrigue. For example, a fellow named James Gimbal gives a graphic eyewitness account of the accident with the Lunar Lander Trainer that almost cost Neil Armstrong his life. Of particular interest in the chapter devoted to Paul Haney (NASA Public Information Officer 1959-1969) were his observations of the original Mercury astronauts, and the politics and bureaucracy of NASA. 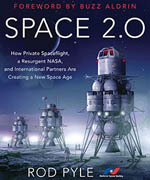 In the Shuttle chapter, the observations by astronauts Vance Brand and Norm Thargard were well worth the reading time. You don’t have to read the book straight through. After the first 100 pages or so, I jumped to the end and read the last chapter, “Pioneers of the Future”, and found that each chapter can stand-alone. There are a lot of diverse and interesting people and topics to keep you involved in the book. 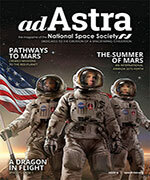 Loretta Hall is a freelance writer trained in technical topics and space history in particular. This is her second book on the topic of space, the first being Out of this World: New Mexico’s Contribution to Space Travel.